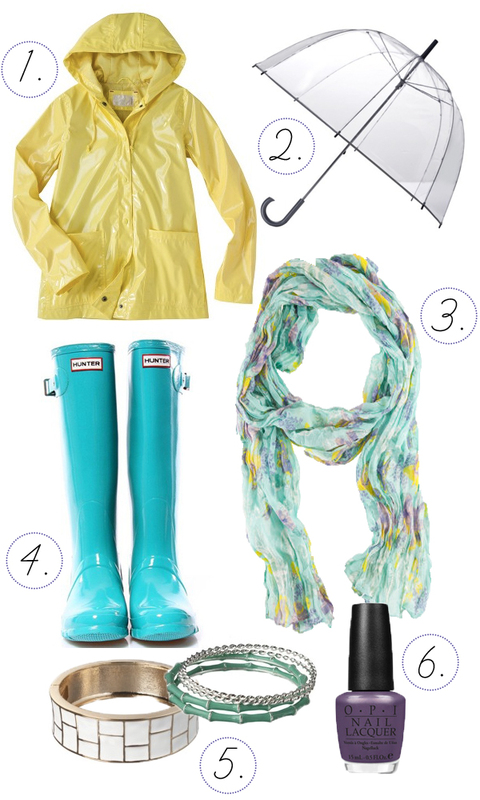 I love the collection of rainy day items you've put together... especially those bright blue boots. Today it's sunny though... wooohoooooo looks like we've got some nice weather ahead! YES! wow i love that shade of blue on the hunters! While most people would prefer that we live in a constant state of drought and have 365 days of sunshine a year, I embrace rainy days because I love rain gear so much. Is that strange? Possibly. But rainy days also mean warm beverages, which make every dreary day seem bearable.